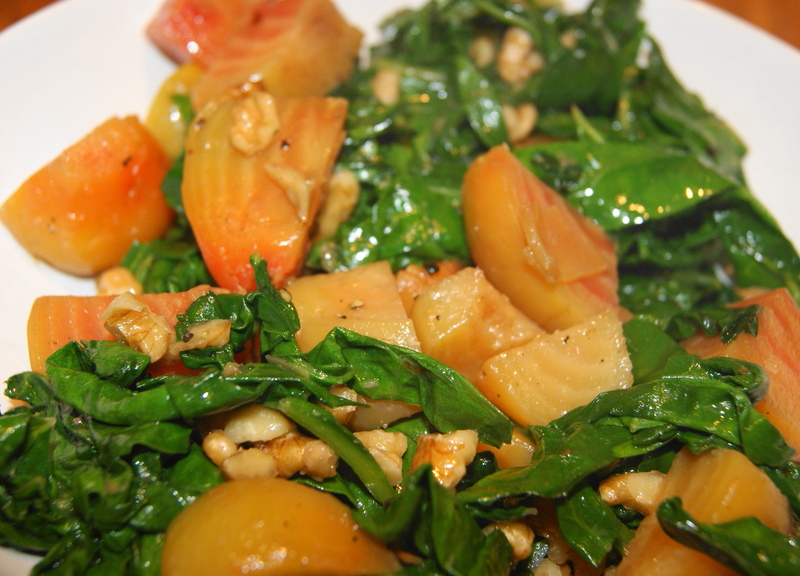 Posted on April 14, 2012 by Dad Can Cook	• This entry was posted in Recipes and tagged beets, coconut oil, cook, cooking, food, recipe, recipes, swiss chard, vegetables, vegitarian, walnuts, what to cook?. Bookmark the permalink. Is that a Golden Beet in the dish? We love beets but the Goldens are by far our favorite. They still have that earthy flavor but are a bit sweeter. Awesome dish! Yes they are golden, I picked them when they where really small with a nice sweetness. Matched up well with the Swiss chard. Got to love having a garden. Golden beets are the best…at least in my opinion. Looks great. Thanks, I agree on the golden. I have swiss chard ready to be planted so I’m excited to use this in some recipes this summer. 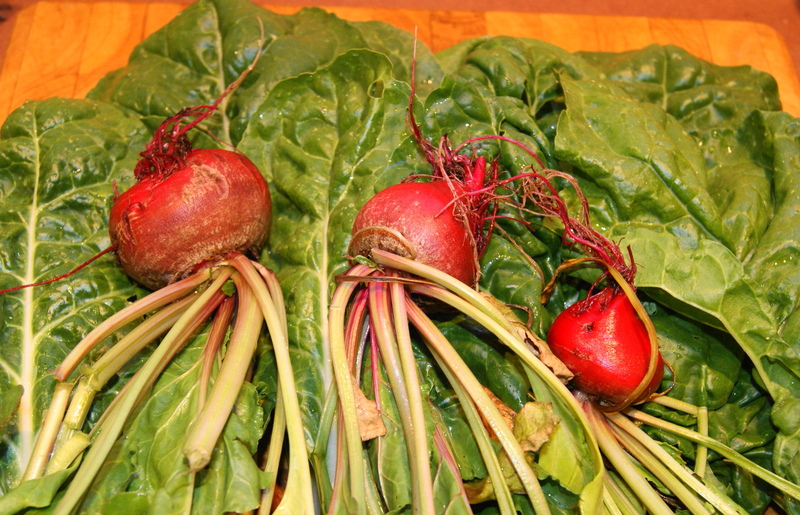 I love beets as well and I will try this recipe. Where does one find coconut oil? We have organic grocery stores like Sprouts that I find it in. I have not checked regular grocery stores for it but coconut oil is getting more popular due to it’s health qualities. Let me do some checking. I didn’t know beets came in yellow too! Pingback: Look At All This Deliciousness! | Frugally Delicious. Every Dime. Every Time. Glad it worked out well for you. Every time I put up a post I have fun. This looks great and I don’t think it could get any healthier. I will have to try it.